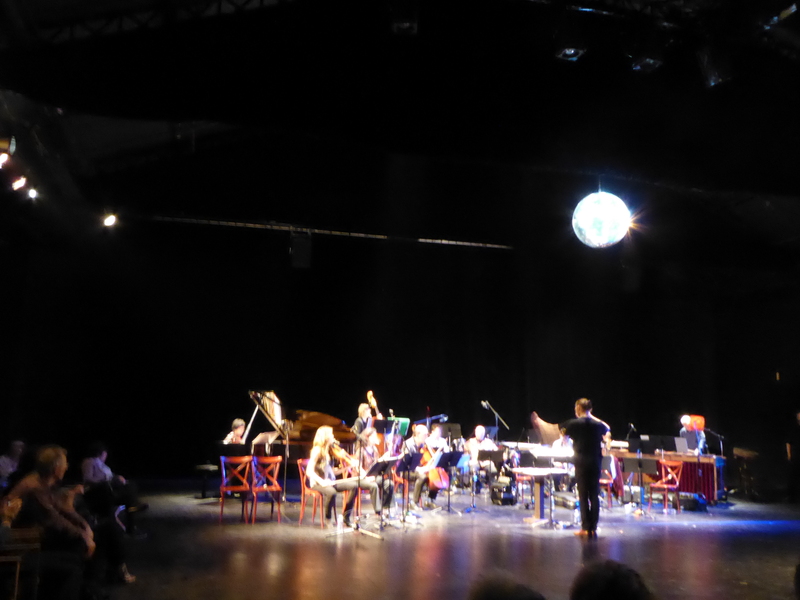 On March 10 the Paris based Ensemble Aleph celebrated their 35 anniversary with a special program at their Paris residence, the Theatre de L’Aquarium at La Cartoucherie. 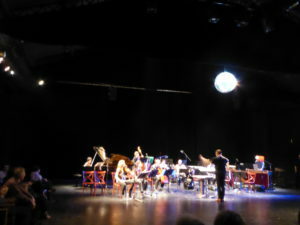 The first part of the evening was a typical excellent concert featuring compositions by Ernest H Papier, Mauricio Kagel, Mark Andre, Giacinto Scelsi, Clara Iannotta, Jean-Pierre Drouet, Fabien Tehericsen and Bastien David. After the concert, there was a wonderful buffet complete with birthday cake. The Ensemble has been doing this for years, and it creates a relaxed and convivial atmosphere. After the buffet, there was a contemporary music ball. The Ensemble asked their many composer friends to compose or arrange a dance, in any style, and invited the public to dance along.